After a good night's rest we're all ready to get rockin'! Con spent some time at the studio before coming to the booth. He has been working on a new album and there were a couple of overdubs scheduled today. 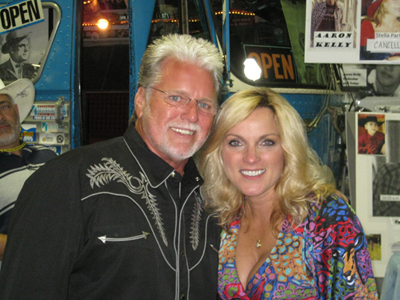 The new music is sounding great....stay tuned to conhunley.com for progress reports and upcoming release dates! 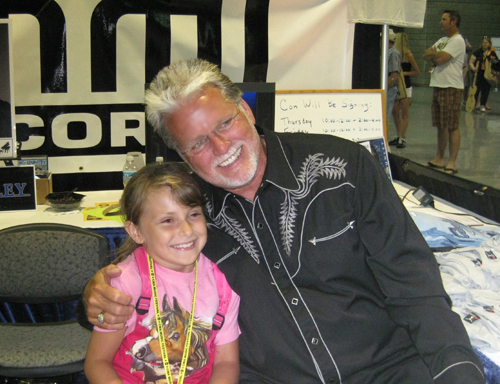 Day Two at Fan Fair Hall gets started with a little gal who is tickled pink to meet Con and get an autographed picture! ...the fans just kept coming! 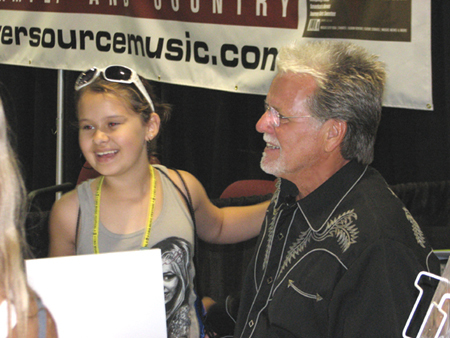 Con was happy to get to see a lot of his industry friends during CMA-Fest. 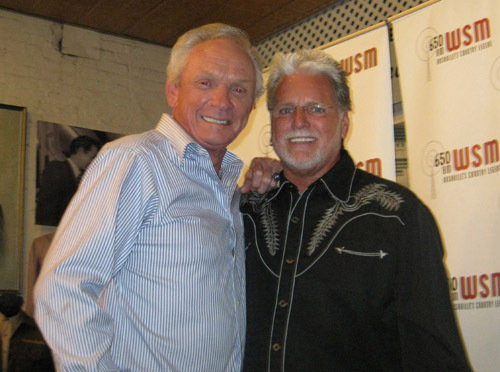 Here he is pictured with good friend and Country Music legend Mel Tillis. 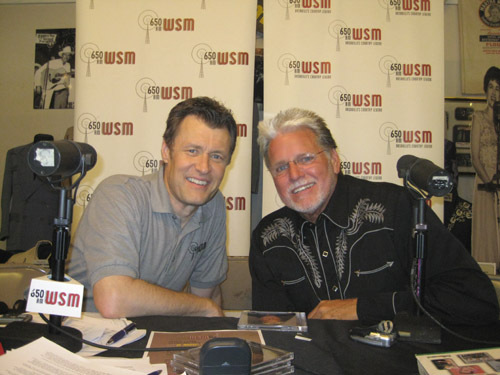 Con and Mel were guests of Bill Cody's live WSM Radio show. 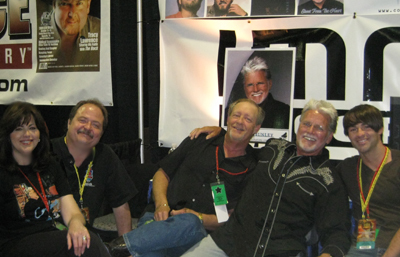 Con and Mel shared a few stories with Bill and the three of them just rolled with laughter! They had a blast! Con and Bill have been friends for a number of years and they both love a good song, and a good laugh! 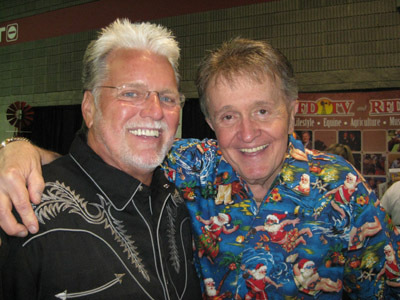 And a moment with another Nashville legend, Bill Anderson. 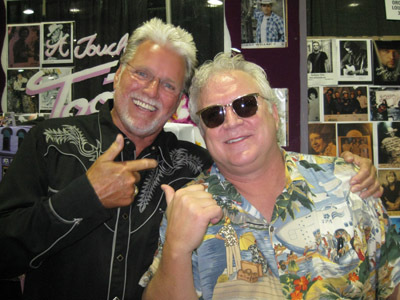 Bill was thrilled with Con's version of his song "Still" on Con's comeback CD Sweet Memories. The CD was in CMT.com's Top Ten CD's of 2004! 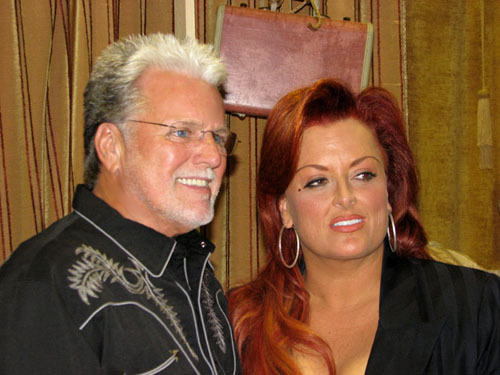 Con was delighted to spend a few minutes with the oh-so-talented and the oh-so-beautiful Wynonna Judd. Con has been a long time super-fan of hers, and she told Con that she and her Mom, Naomi, have always felt like Con is one of the best singers ever! She told him, "Mom is just gonna die when I tell her I ran into you!" Day Two ends just as happy as it started... ...maybe even more so! Day Three is still to come!